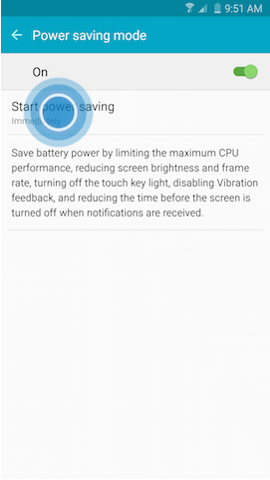 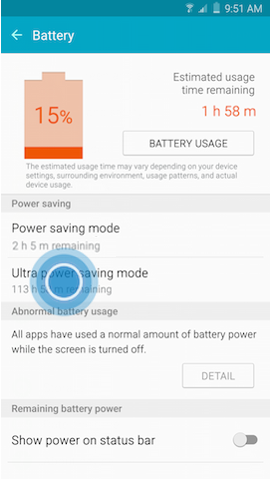 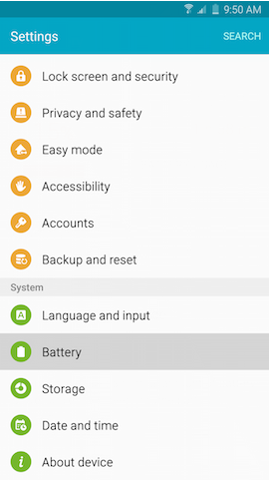 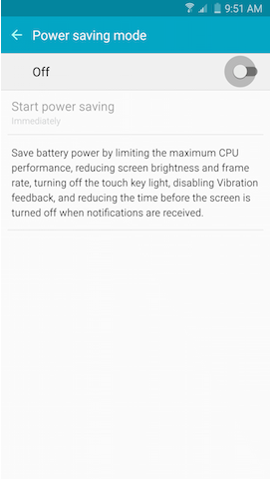 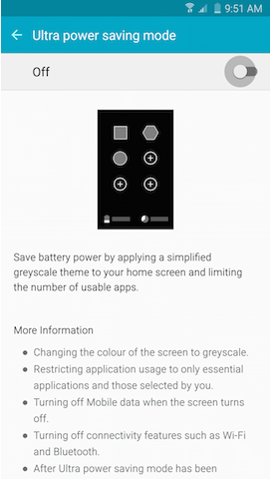 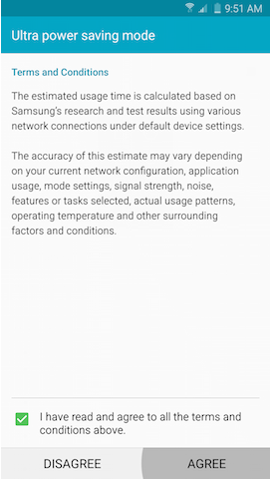 Galaxy Note5: How do I configure the power saving modes on my Samsung Galaxy Note5? 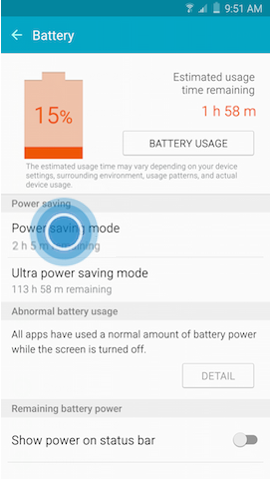 Power saving modes limit your device's performance to conserve battery power. 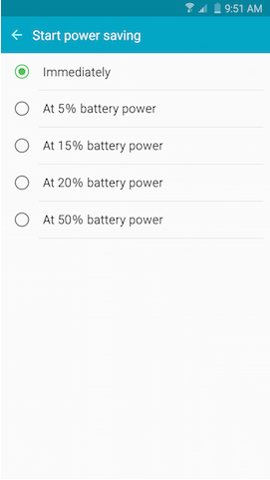 Choose between Power saving mode and Ultra power saving mode.